The Zenin Hot Stone Massage Therapy promotes deep relaxation and eases muscle tension. Thanks to the heat in the stones, the blood vessels are expanded creating a sedative effect, relieving you from stress and anxiety to provide complete relaxation for the body and the mind. 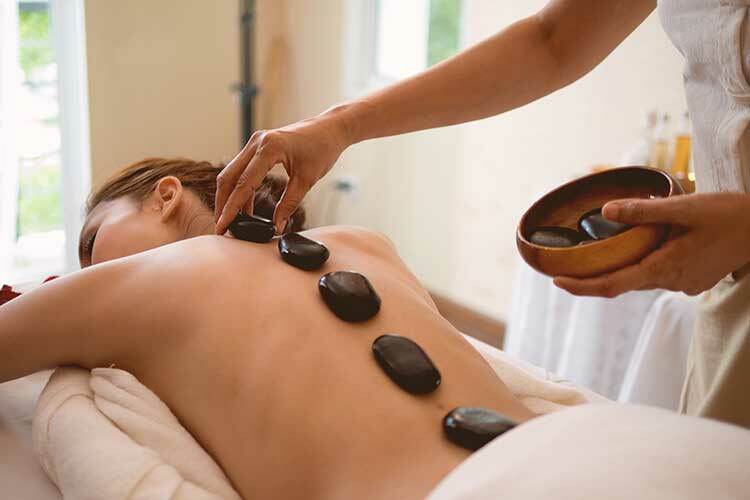 The Zenin Hot Stone Massage improves blood flow, helps with pain management in conditions such as arthritis and sciatica, and increases your blood circulation and metabolism. The stones themselves are basalt, a black volcanic rock that absorbs and retains heat and is smoothed by the natural forces of a river or sea. The stones are heated in water to reach the perfect temperature to provide intense muscle relaxation, relief from muscle cramps as well as reducing stress and anxiety. Hot stone massage is a bliss to fatigued nerves and muscles, rejuvenating the entire body from tiredness and stress.